Inserch gets the word out about style with the way their clothing looks on you. They have been making fine walking suits for the longest time and their new collection keeps the movement going. 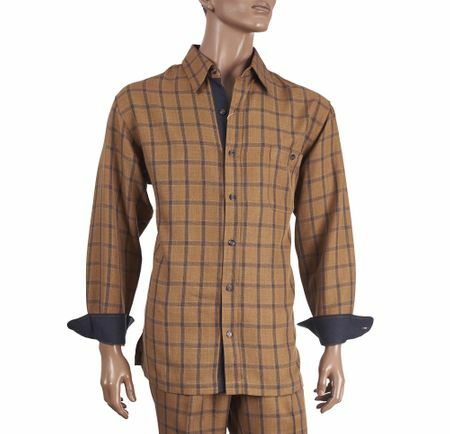 This sharp looking camel plaid set features a shirt with stitch detail and pleated pants for a perfect look and drape. Made of microfiber.